i may have mentioned back in this post here that the new place the FH and i are moving into post wedding is tiny. in fact the entire kitchen floor space is just over 4' x 3'. yeah; i know. and the bathroom isn't much better. back when i lived alone in a one bedroom- i didn't care that my towels went rolled up on the top shelf of my closet. and my closet was pretty huge then for one person. now that two people will be sharing a bathroom that size with an even smaller closet, i had to figure out where to store some of my bathroom items. another major problem with our teeny tiny apartment is that we cannot hang any kind of shelving. i know, right? yikes. anyway, i found my solution in these high cabinets offered by ikea. 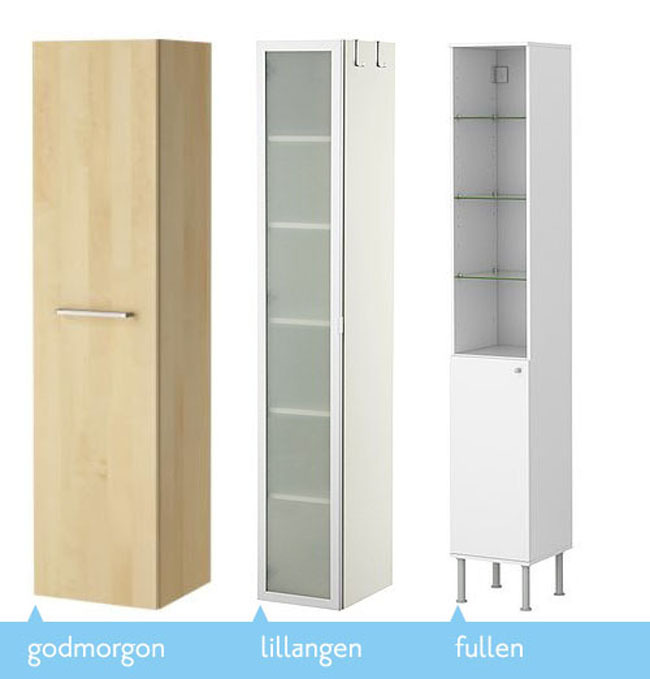 tall and lean, these cabinets are perfect for storing lots of little items without taking up much floor space. i'm going with the fullen model because it takes up the least amount of depth at only 11", which is almost more than i can spare but we have to store our towels somewhere! 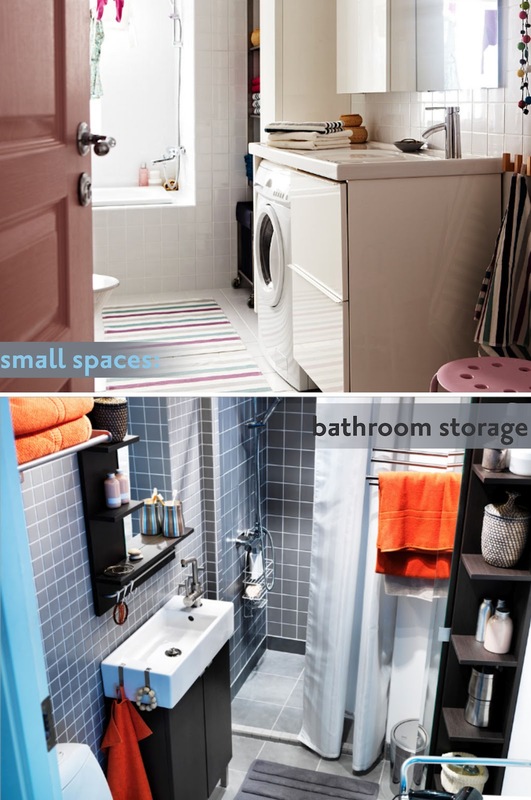 how would you handle storage in the bathroom with limited space? i'm open for suggestions! ohh yeah! good idea! i've never really seen these kinds of cabinets before. i like the fuller because of the hidden and exposed storage option.